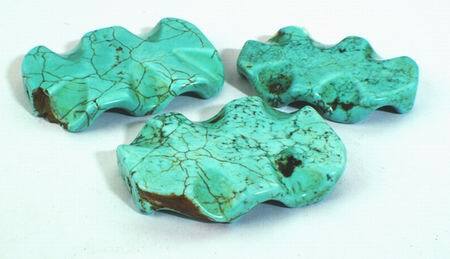 Price is for two of these large turquoise slabs, all drilled ready to thread. As these are natural, all will be slightly different shape, texture, and size. But average size is around 46mm x 30mm x 8mm. Heavy!